After spending the day with a few of Texas' long-time civil rights and education leaders, this message resonates. All of the issues that Gandara and Orfield address are currently being discussed in Texas, and dominated by politics, and void of community. Gandara and Orfield's argument that our focus for progress should not prioritize one issue (access) over another (completion) should be in bold. In the words of one well respected researcher and community advocate, any college-related goals, at least when it comes to students of Color in Texas, must not lose sight of the number of minority students who do not attain a HS diploma. In education, reform tends to follow cycles, often bouncing from one extreme to another without considering the possibility of incorporating multiple perspectives simultaneously. Policies aimed at helping more underrepresented students enter college and complete degrees have bounced from one pole to another, embracing access as the primary goal without giving adequate attention to successful completion, which results in many underrepresented students coming through the campus gate but relatively few leaving with degrees. There has been considerable publicity lately about the U.S.’s declining rankings in international comparisons of young people with college degrees. Today, we are not among the top 10 developed countries for degree attainment, according to the Organisation for Economic Cooperation and Development, with flat completion rates placing us so low in the rankings. Americans are waking up to the fact that something must be done to increase the rate at which our youth gain degrees—especially youth of color—if the U.S. is to remain competitive in international markets. Just 21 percent of African-Americans and an appalling 12 percent of Latinos have completed a degree by age 29. The Obama administration has set an ambitious goal for the U.S. to lead the world in the percentage of adults with a college degree by 2020, but this will require that we pay attention to both access and success in ways that we haven’t before. Much of the first half of the 20th century was characterized by a long march toward providing equal access to a basic education to African-Americans, Native Americans, Latinos and, to some extent, Asian students. Up to midcentury, these groups fought just to gain access to schools with equal resources. Importantly, many of the court rulings that resulted in the Brown v. Board of Education decision in 1954, which promised access to the same schools for all children regardless of color, were decisions about access in higher education, such as the Sweatt v. Painter decision of 1950 that opened access to the University of Texas law school for students of color. Having been denied access to an equal education, it was logical that all efforts would be concentrated on the access issue during this period, culminating in Brown, the 1964 Civil Rights Act, the 1965 Higher Education Act and the creation of Work-Study under the War on Poverty. The barriers were supposed to fall, and the students were to have the resources to enroll. By 1975-76, an African-American or Latino high school graduate had an equal chance of attending college as a White high school graduate. The civil rights era shone a light on the yawning gaps in educational attainment that existed between White students and students of color, and the mid- to late-1960s and mid-1970s saw a strong focus on the importance of access to higher education, including opening the segregated public universities in the South and creating tribal colleges for Indian nations to help narrow those gaps. Almost all selective universities adopted affirmative action. Nonetheless, by 1975 only 15 percent of non-White young adults held college degrees compared with 24 percent for White students. It would take time, though, before the challenge of college completion became a focal point in struggles for equality. Forty years ago the focus was on providing more equality of opportunity through affirmative action and other strategies to increase access to college. And it worked. However, by the early 1980s it became clear that access was not enough. Students of color entered college at all-time-high rates but they were too often not completing degrees. This fact stimulated competing responses between conservatives and progressives. On one hand, social conservatives argued that the students should not have been admitted because they weren’t prepared, which was the reason they weren’t completing degrees. Efforts to limit access to more selective colleges by redirecting “under-prepared” students to two-year colleges coupled with assaults on affirmative action policies were underway. The 1980s became the era of “educational excellence,” in which a conservative rhetoric focused on framing the problem as incompatibility of excellence and diversity. Conservatives argued that American education had become mediocre because standards were not high enough. Although this was most directly communicated in the 1983 “A Nation at Risk” document that critiqued public schools, it was also a theme that played out in higher education. The question was posed in mainstream media as well as in academic publications: Could we have internationally competitive universities and still maintain a commitment to diversity? Weren’t these two goals fundamentally incompatible? Dr. Alexander Astin countered the argument that excellence and equity were in conflict in the academy with his 1985 book, Achieving Educational Excellence, in which he proffered that excellence in higher education institutions in multicultural societies was only possible through diversity. The debate is like choosing between giving a child food or health care—both are necessary and strongly related. In addressing the completion problem, social progressives argued that, if the country was to move forward socially and economically, it required that marginalized populations be admitted to selective universities and be supported to succeed there. College success became a new focus, and programs to help ensure that students of color completed degrees increased in number and importance on campuses. However, support programs served few students, and the nagging gaps remained between White (and increasingly Asian) students and students of color with respect to degree attainment. Research showed that being admitted to a competitive college was a completion strategy because affirmative action students’ completion rates in these colleges were higher than in open-access colleges because there was a clear pathway and positive peer groups. Graduation was the default outcome. There was also a change in the political climate of the country in the 1980s, ushered in by the Reagan years and the retreat from affirmative action and progressive policies to support low-income and students of color in higher education. The Bakke affirmative action Supreme Court decision at the end of the 1970s sent out alarms that the era of affirmative action was on life support. At the same time, fewer colleges were built, admissions standards were raised and tuition constantly went up faster than family incomes as state support declined. The impact was particularly pernicious for students of color, including Latinos, who did not have the HBCU-type institutions and were concentrated in states that relied too heavily on community colleges. Thus, we saw a steady downturn in access through the 1980s and increasing gaps among advantaged and disadvantaged groups in college admissions. The “success” part of the higher education equation was lost in the new swing of the pendulum away from access and an increasing concern that access to higher education was being lost for the nation’s minorities. The 1996 anti-affirmative action initiative (Proposition 209) in California and the Hopwood decision, which likewise found affirmative action illegal in Texas the same year, resulted in huge drops in admission to selective public colleges in those states. Proposition 209 was followed by similar initiatives and court decisions in other states, with predictable downturns in minority access. During the 1990s, concerns of progressives once again became fixated on the access problem. More recently, we have seen a return to the discussion about the “success problem,” with colleges under attack for providing too much remediation. Social conservatives have once again suggested the place for students shortchanged by inferior high schools is community colleges, not the four-year institutions from which they are more likely to graduate with a degree. The dramatic growth of the Latino population—now the nation’s largest and fastest-growing minority—has also raised new concerns about college success as a recent report from the Pew Hispanic Center revealed that Latinos go to college at rates comparable to other groups but they lag far behind others in degrees. The gaps in college attainment for this group are alarming in states where they constitute the majority of the school-age population. Financial aid policies that reward “merit” rather than need have proved debilitating for African-Americans, Latinos and other low-income groups as working too many hours makes completing college much more difficult. And so once again we shift our lens toward the challenges of success in college. In a nation that will soon have a majority of non-White students in its public schools, the stakes are too high to focus on only one issue at a time. Access of the right kind fosters success and completion. Focus on support for students who fall behind makes access a better investment. We must do both all the time. — Drs. Patricia Gándara and Gary Orfield are professors of education and co-direct The Civil Rights Project/Proyecto Derechos Civiles at the University of California, Los Angeles. UT faculty members want role in budget discussions Provost pledges increased involvement, transparency. Faculty members at the University of Texas said Monday that they want to be in the loop on budget decisions, especially during the sort of tough financial times the university is currently facing. A resolution adopted by the Faculty Council called for "significant" faculty involvement in budget matters and expressed concern about low-paid faculty members, staff members and graduate students serving as teaching assistants, who collectively have accounted for scores of layoffs in the past year or so. "I think it's highly variable," Dean Neikirk , chairman of the council and a professor of electrical and computer engineering, said of faculty involvement in budget discussions at UT's colleges, schools and other units. He said the council is planning to survey the various units to gauge faculty members' roles. Budgeting has been primarily the province of the business office and the president, provost, the deans and other top officials. Steven Leslie, the executive vice president and provost, told the Faculty Council that he wants to increase faculty involvement and the transparency of deliberations. "We're working to try to figure out how to do that," Leslie said. Among the questions are whether each academic unit should make its own arrangements or whether a common approach should be adopted. Alan Cline , a professor of computer sciences, said faculty members had more say on budget matters 25 years ago than they do now. Neikirk said he'd like to establish a structure that assures faculty involvement at the beginning of universitywide budget discussions. Like other public universities in Texas, UT has been instructed by Gov. Rick Perry and legislative leaders to prepare plans for a 10 percent reduction in state funding. Lawmakers will make the final call when they meet next year. UT President William Powers Jr. has warned that a 10 percent cut would require the elimination of 600 faculty and staff jobs in the next two years or so. That would be on top of positions already shed as a result of a previously imposed 5 percent cut in state funding. Excellent piece by Barbara Miner. She indicates here that to understand what motivates this film, we are to follow the $$$. Please consider signing this petition. In short, it says, "Even the most sophisticated use of test scores, called value added modeling (VAM), is a flawed and inaccurate way to judge whether teachers are effective or ineffective." It is encouraging that there has been increased attention paid to improving the educational achievement of students, especially those from disadvantaged backgrounds. However, it is unfortunate that much of the new policy discussion has focused on the mistaken belief that educational outcomes can be significantly improved by heavy reliance upon students' scores on standardized tests in mathematics and reading to evaluate, reward, and remove the teachers of these tested students. We have recently co-authored a paper, Problems With the Use of Student Test Scores to Evaluate Teachers, which shows that even the most sophisticated use of test scores, called value added modeling (VAM), is a flawed and inaccurate way to judge whether teachers are effective or ineffective. Adopting an invalid teacher evaluation system and tying it to rewards and sanctions is likely to lead to inaccurate personnel decisions, while also demoralizing teachers. Such a flawed system could lead talented teachers to avoid high-needs students and schools, or to leave the profession entirely, and discourage potentially effective teachers from pursuing careers in education. Moreover, heavy reliance on basic math and reading scores to evaluate teachers will further narrow and over-simplify the curriculum to focus only on the subjects, topics, and formats that are tested. We believe that the evidence shows that educational outcomes will suffer if policymakers establish systems of teacher evaluation, tenure and pay which rely heavily on student test scores. We are writing to invite you to sign a statement opposing this approach by going to http://www.epi-data.org/education/. We have posted the statement and listed resource material that provides the research basis for the statement. We also urge you to encourage others to sign the statement. We will publish the signatories on the EPI website and elsewhere. If you agree with our approach, please add your signature to this statement as soon as possible to ensure that your name is included among the signers. The deadline for signatures is November 19, 2010. We hope you will join with us in this very important effort to improve the educational outcomes of students, especially disadvantaged students who will be most harmed by these misguided policies. Eva L. Baker is professor of education at UCLA, co-director of the National Center for Evaluation Standards and Student Testing (CRESST) and co-chaired the committee to revise testing standards of the American Psychological Association, the American Educational Research Association, and the National Council on Measurement in Education. Paul E. Barton is the former director of the Policy Information Center of the Educational Testing Service and associate director of the National Assessment of Educational Progress. Linda Darling-Hammond is a professor of education at Stanford University, former president of the American Educational Research Association and a member of the National Academy of Education. Edward Haertel is a professor of education at Stanford University, former president of the National Council on Measurement in Education, Chair of the National Research Council's Board on Testing and Assessment, and a former chair of the committee on methodology of the National Assessment Governing Board. Helen F. Ladd is Professor of Public Policy and Economics at Duke University and President-Elect of the Association for Public Policy Analysis and Management. Robert L. Linn is a distinguished professor emeritus at the University of Colorado, and has served as president of the National Council on Measurement in Education and of the American Educational Research Association, and as chair of the National Research Council's Board on Testing and Assessment. Diane Ravitch is a research professor at New York University and historian of American education. Richard Rothstein is a research associate of the Economic Policy Institute. Richard J. Shavelson is a professor of education (emeritus) at Stanford University and former president of the American Educational Research Association. Lorrie A. Shepard is dean and professor, School of Education, University of Colorado at Boulder, a former president of the American Educational Research Association, and the immediate past president of the National Academy of Education. Copyright © 2010 Economic Policy Institute. All rights reserved. AUSTIN -- In the latest round of the Texas vs. Washington political battle, the state's Republican leaders Thursday blasted a U.S. Senate-passed mandate on education funding in Texas, with Lt. Gov. David Dewhurst threatening legal action against the federal government if the House upholds the measure in a critical vote next week. The provision applies only to Texas and was crafted by Texas Democrats in Congress, who say they want to ensure that more than $800 million in federal education dollars earmarked for the state isn't diverted to other purposes. But Gov. Rick Perry and Dewhurst said compliance with the measure would violate the Texas Constitution and consequently prevent Texas from receiving the education funds. "Washington is deft at placing targets on the backs of Texans, and this proposal paints a target on our schoolteachers and schoolchildren," Perry said. Dewhurst, presiding officer of the state Senate, said he plans to ask Attorney General Greg Abbott to sue the federal government if the House complies with the Senate version of the bill and retains a House-passed amendment authored by Rep. Lloyd Doggett, an Austin Democrat. Texas Sens. Kay Bailey Hutchison and John Cornyn, both Republicans, opposed the measure, which was part of legislation reauthorizing the Federal Aviation Administration. A House vote is scheduled for Tuesday. The bill includes $10 billion in education funds that would be available to the states. Texas's share has been estimated at $800 million to $830 million. Doggett's amendment stems from Democrats' assertions that the Republican-led state government mishandled federal stimulus money last year, using it to bail itself out of a budget jam instead of drawing from a rainy-day fund. Democrats have also blasted Perry for refusing to apply for a share of $4.3 billion from President Barack Obama's Race to the Top school improvement program. Under the amendment, Texas would not have access to the education funds unless the governor certifies that the state will maintain the proportion of state education funding for the 2010-2011 fiscal year and for two more fiscal years through 2013. Perry and Dewhurst said the requirement violates a state constitutional ban prohibiting the governor from committing to future legislative spending, and they contend that means the state is unable to claim the education money. "Congress has crafted legislation that will exclusively harm Texas public schools and our teachers," said Texas Education Commissioner Robert Scott. "Every member of the Texas congressional delegation who supported this measure owes Texas voters an explanation as to why they are in favor of imposing punitive measures on our schools." The dispute is playing out just days before Obama is scheduled to visit the state Monday for two political fundraisers, including one in Dallas, and an education-related public event at the University of Texas at Austin. It is also the latest in a growing litany of federal-state confrontations over issues that include environmental policy, healthcare and the economy. But unlike the earlier disputes, the new uproar pits state Republican leaders against the 12 Democrats in the Texas congressional delegation. Both sides contend that they are acting in the best interests of Texas schools, and Doggett disputed Republicans assertions that Texas would be unable to get the money. "There is no constitutional limitation on doing right by our Texas schoolchildren," Doggett said. "The obligation that this amendment places on Texas is to spend new education dollars on education purposes." The Democratic lawmakers also had the backing of 33 school district superintendents and seven statewide education groups who wrote congressional leaders in support of the amendment. The group included Fort Worth school Superintendent Melody Johnson. "With Texas facing a serious budget shortfall in the coming biennial budget, the last thing we need to allow is these funds to be diverted to fill non-education gaps in the budget," the educators said. Hutchison and Cornyn both denounced the amendment as discriminatory against Texas and challenged Democrats to reverse their position in next week's House vote. "Texas children shouldn't have their education shortchanged because of petty partisan politics," Cornyn said. DALLAS – Texas schools need to hire more Black and Hispanic teachers, especially as the enrollment of minority students continues to rise, experts said. The Dallas Morning News reported Tuesday that two out of three Texas teachers in the past school year were White, which is a proportion that has not changed much in recent years. The state projects that minority students will make up around 62 percent of the student body in the 2011-12 school year, up more than 10 percent from a decade ago. A Harvard University Kennedy School of Government study published in 2004 concluded that White and Black students in Tennessee did better on state tests with teachers of their own race. The findings indicated that recruiting more minority teachers could generate important gains among minority students. A similar study by the Education Resources Information Center found that Hispanic students had similar benefits. One of the reasons is that minority teachers better understand cultural differences and can “break down the students’ stereotypes,” according to the study. Texas school districts hire about 30,000 to 35,000 new teachers every year, but the pool of minorities interested in the profession is small, local officials said. Linda Bridges, president of the teacher group Texas AFT, said it is important to get people into the profession who truly want to make it a career. Fuller said the state hasn't pushed hard to get more minority college graduates into the classroom. NEW ORLEANS – Two White students who were denied admission to the University of Texas at Austin asked a federal appeals court Tuesday to rule that the school impermissibly uses race in its undergraduate admissions decisions. A three-judge panel from the 5th U.S. Circuit Court of Appeals didn't indicate when it will rule after hearing arguments in the case brought by Abigail Fisher and Rachel Michalewicz, who were denied admission to UT's 2008 freshman class. U.S. District Judge Sam Sparks of Austin dismissed the students' lawsuit last year. They appealed, claiming UT's consideration of race in its admissions process is unconstitutional because it pursues a representational goal rather an educational one. “A brute-force solution that says, ‘If I admit more minorities, I'm going to solve the problems,’ is not going to work,” said Bert Rein, an attorney for the students. But a lawyer for the state says the university’s 2005 admissions policy was drafted to adhere to a 2003 decision by the U.S. Supreme Court upholding affirmative action at the University of Michigan's law school. “It appears to use race contextually,” the judge said. Texas Solicitor General James Ho, who represented UT at the hearing, said the plaintiffs have conceded that UT's admissions policy is “constitutionally indistinguishable” from the University of Michigan law school's policy. “They only argue that UT does not need such a policy,” Ho added. “Since that time, not a single suit has been filed to our knowledge challenging university affirmative action policies until now,” he wrote. UT automatically offers admission to any applicant who graduates in the top 10 percent of a Texas high school class. The school also uses a formula based on applicants' class rank and standardized test scores and employs a “personal achievement score” that considers a student's extracurricular activities, community service and work experience. In 2005, UT began including race as one of the “special circumstances” factors included in determining an applicant's personal achievement score. “You can't just say the goal justifies any means,” Rein told the judges. Neither student is seeking to be admitted to UT. Fisher, whose parents attended Tuesday's hearing, enrolled at Louisiana State University. Michalewicz attends St. Edward's University in Austin, her lawyer said. A new model of data sharing and openness is emerging in the scientific community that replaces traditional ways of thinking about research findings as the private property of the primary investigator. Large granting agencies, including the National Science Foundation and the National Institutes of Health, have embraced the new model of more-open access to research data. Later this year, the NSF will start requiring scientists seeking research grants to include a data-management plan in their applications, describing how and when their data will be shared. The issue has also captured the attention of a U.S. House of Representatives subcommittee, which held hearings last week on an NIH data-sharing policy requiring that federally financed research data be freely available within 12 months of publication. But the change has been slower to take hold among scientists themselves—resistance that is bogging down the pace of scientific progress. Policy changes come on the heels of a 2009 National Academies of Science report about data stewardship, which suggested that, with the help of technology, the scientific professions are moving, but only slowly and reluctantly, toward a paradigm shift. It has become increasingly apparent that scientific data should be considered a product in much the same way journal articles or conference proceedings are, and they should therefore be shared as widely as articles and proceedings, while being credited to their producers. NIH embraced this perspective as early as 2003 by requiring data-sharing plans in certain types of grant applications. The momentum has clearly shifted toward more transparency, at least among those who finance science. But among those who do science, it remains much less clear how long the transition will take. For the past five years, I have been on the front lines of this shift, and I have seen little consensus among scientists. As an archive director for the Inter-University Consortium for Social and Political Research at the University of Michigan, which is among the oldest and largest data archives in the world, it has been my job to persuade researchers financed by federal sources to share their research data with the broad academic community. I have attended countless scientific meetings, presented at workshops, shared coffee and meals, and been cornered in poster sessions by disgruntled scientists and worried graduate students. The topic is always access to secondary research data— the reuse of primary data for secondary analysis. Researchers' concerns include discomfort over possible misuse of their data and losing credit for their work. Data sharing is a bit like going to the dentist. We can all agree that it is a good thing to do and intrinsic to good scientific practice. In reality, however, researchers tend to view data sharing with a mix of fear, contempt, and dread. Of the reasons and excuses offered for not sharing research data, very few have substantial legitimacy from a scientific or even institutional perspective. Arguments related to protecting human subjects are valid. In the social and behavioral sciences, when researchers collect data, we promise to protect our subjects' identities. That is an important promise that, if broken, can substantially damage our research by making it more difficult to get cooperative subjects for future surveys, and by eroding our trustworthiness. But the remainder of excuses for not sharing data are rooted in the nature of academic rewards, the financing of science, and misunderstandings about data. The misdirection occurs when we believe that we can protect our subjects by never sharing data with anyone beyond our work group. That would be true only if data still resided on pieces of paper. The truth is, informal data sharing occurs every time a researcher puts a data file on a thumb drive and hands it to a graduate student, who then puts it on a shared network drive at a university, and then puts it on his or her laptop to take home and hook up to an unsecured wireless network. Formal data-sharing plans force us to think through data-protection and disclosure-control practices. Informal data sharing actually puts subjects at greater risk because we trust our colleagues, while never questioning the networks, computers, and places they use to store and analyze our data. Moreover, many scientists extend the human-subjects argument from individuals to populations. They argue that when the data concern a vulnerable population, they could be misrepresented if widely released. The scientists are less concerned with protecting the identities of individuals than with controlling how the data are used to portray a particular population. Again, that is a laudable goal, but misguided. Researchers often persuade a person to participate in a study to improve the condition of his or her community. Participants clearly believe in the value of the science brought to bear on their issues. The original research team, however, may not have all the answers. The value of science lies in the ability to exchange and test alternative solutions. By trying to protect a community from harm, the team may actually be hurting it by shutting out alternatives. * "I worked hard for this, and I want to exploit it as much as I can." It is true that academe is designed to reward publications and, thus, when we share data, we run the risk of being "scooped." That suggests, however, that the individuals who collected the data have no competitive advantage at all. Secondary-data analysis, by those who are not the primary researcher, is actually quite hard even when the data are well prepared and documented, because data collection has become so complicated it is difficult to navigate. Further, data producers gain the advantage of having completed their work first, forcing others to cite them in future publications. * "People won't use the data properly." Can we dictate how other analysts use our written work? The scientific discourse is one of error and correction. The literature is filled with such exchanges. If we prevent people from entering the conversation because we are afraid they might say something stupid, we violate the basic principle of science that statements are considered valid when well supported by evidence or until proved wrong. Data are the raw materials of those conversations. * "It's too expensive to clean it up." Collecting data is a bit like cooking a good meal. If you clean as you go, when you are full and sleepy you will have much less to do. Documenting and cleaning data are good scientific practice. It should be very little work to make data ready for someone else. * "I won't share it because it's mine." That is the least credible and most objectionable reason for not sharing data. Call it the kindergarten gambit. In fact, data collection supported by the federal government belongs to the institution to which the grant was given. Contracts have different types of ownership embedded in their agreements. In the case of grants, a researcher's legal claims on the original data are minimal unless he or she has negotiated an alternative agreement with his or her institution. More important than the legal claim is the moral one. If we continue to ask American taxpayers to finance scientific research, we ought to be willing to share some of its products: data. The most effective argument in favor of data sharing is simple: It is good science. The scientific community need only look to the field of astronomy for a well-documented example. As The Chronicle has reported, Alexander S. Szalay, a professor of physics and astronomy at the Johns Hopkins University, has helped change his field to one in which sharing is routine, building an archive that brings together millions of digital images of the universe. Genomics also serves as an example, with several large-scale projects engaged in broad collaboration on gene sequencing, like the Human Genome Project and the "genomewide association studies" that scan markers across many people to identify variations associated with particular diseases that it has made possible. At our consortium for social and political research, which has nearly 700 members and is housed at the Institute for Social Research at the University of Michigan, data sharing has been our mission since our founding nearly 50 years ago. Demand for the data we disseminate is only growing. In 2010 we've seen record-high downloads from our Web sites. Our experience demonstrates that making data available for secondary analysis by the wider research community is an essential component of social-science inquiry. Our hope is that the most recent effort by the NSF, along with practices already in place at NIH, will push more researchers to realize that being overly protective of one's data is counterproductive. When the shift finally occurs, perhaps I will spend less time on the road trying to persuade people of the value of data sharing, and more time facilitating its use. Felicia LeClere is an associate research scientist and director of Data Sharing for Demographic Research and the National Addiction & HIV Data Archive Program at the Inter-University Consortium for Political and Social Research at the University of Michigan. She is also an associate research scientist at the university's Population Studies Center, Institute for Social Research and will be a principal scientist at the National Opinion Research Center at the University of Chicago in September. tate Board of Education members muscled through a proposal Friday to invest public school endowment dollars in charter school facilities. But there could be a push back next year from legislators who say political aims are overtaking the board's responsibility to manage prudently the $22 billion Permanent School Fund. The endowment was created in 1876 for the benefit of Texas public schools. On Friday, the board reversed a preliminary vote from the previous day and dedicated $100 million of the fund to developing and leasing buildings for charter schools, which are privately managed public schools. Charter schools deserve assistance similar to what the state provides traditional public school districts, said board member David Bradley, R-Beaumont. The fund helps school districts by guarantying debt used to build classrooms and other facilities, which reduces the districts' borrowing costs. "We're trying to be fair," Bradley said. State Sen. Robert Duncan, R-Lubbock, said the board appears to be overstepping its role. "Their job is to prudently invest the fund so that the constitutional objectives of the fund can be maximized, and providing facilities for charter schools is not one of those functions," said Duncan, chairman of the State Affairs Committee. "This appears to be a political decision and not a decision that is based upon the board exercising its fiduciary responsibility under the constitution." Duncan and state Rep. Donna Howard , D-Austin, carried legislation last year that would have placed investment oversight of the endowment with an appointed board of financial professionals. That measure cleared the House of Representatives with the 100 votes needed to put a constitutional amendment on the ballot, but it never got a hearing in the Senate. Howard said she intends to file the legislation again in 2011 and believes that lawmakers from across the political spectrum will agree that Friday's decision "is not conservative management of this fund." Chairwoman Gail Lowe , R-Lampasas, has her own reservations about whether the charter school investment would pass constitutional muster. But she said having an elected board overseeing the fund does serve the public well. The constitutional issue in question is whether a charter school facility investment would meet the "prudent person" standard that generally says an investment's return must be commensurate with its risk. The board's investment adviser described the charter school investment as low-return and high-risk and declined to make a recommendation for or against the investment approach. Board member Cynthia Dunbar , R-Richmond, said the board members are meeting their legal obligations to vet investments thoroughly. There is also a benefit to the overall fund as well as to education as a whole, Dunbar said. No investment will be made until the attorney general weighs in on the "prudent person" question or the Legislature gives clear authority for the board to proceed, the board stated in its approval of the asset allocation. Education Commissioner Robert Scott said he will instruct staff members who oversee the Permanent School Fund and charter school policy to tackle many lingering questions about the plan. On Thursday, the board split 7 to 7 on a vote to include the charter school proposal in the overall investment mix of the endowment. The tie sank the proposal. But when the final vote was taken Friday, one opponent from Thursday, Rick Agosto, was gone. The San Antonio Democrat had left the meeting shortly after roll call earlier in the morning. Agosto's absence gave supporters of the charter school proposal the one-vote margin needed to include it in the overall investment mix of the endowment. Agosto said any suggestion that he left the meeting to flip the vote's outcome is "preposterous." In the half-century after World War II, Americans built their dream on three pillars: a new house, new car, and higher education. Over time, higher education came to dominate the dream, for it was a statement about the future, opportunities, and one's children. As it became the only route to an increasing number of professions and the primary path to economic success, it generated greater and greater expectations, enrollments, and money. It became one of America's most successful industries. And it became the target of discontent and anger. Few industries grew as fast, gained such prestige, or affected the lives of so many people. Higher education received remarkable sums of money from federal, state, and local governments. Alumni and foundations gave generously. Families reached into their savings and went into debt so that their children could go to college. Like the automobile industry, the education industry showed itself remarkably deft at marketing and at adding new institutions, programs, and facilities. Like the housing industry, it became sophisticated at showing individuals how to obtain financing, and it created financial-aid packages with generous dosages of public funds. By the last decades of the 20th century, colleges had achieved a monopoly as the licensing agencies for Americans who wanted to improve their employment prospects. Every occupation sought to raise its prestige and income by making a college degree (and beyond) the requirement for entry. As the job market for those without college deteriorated into dead-end work at fast-food franchises, continuing one's education became a necessity. The seemingly insatiable demand to attend college, the availability of government and private money with which to do so, and the desire of every state and local community to have its own college or university made it easy for higher education to charge what the traffic would bear. In the 1980s, tuition so substantially outpaced inflation and the growth rate of median family income that higher education looked like yet another greedy industry. The 1990s brought renewed inflows of money and a market-oriented ideology, making colleges and universities even more parallel to other industries. Institutions with endowments and large sums of money could invest in the financial markets and receive double-digit returns; institutions with little in the way of surplus engaged in fund-raising campaigns and hired financial advisers to help themselves become richer. The dot-com bubble burst around 2000, but memories of the bust dimmed quickly, until 2008 and 2009 arrived, with devastating financial consequences. It turned out that the higher-education industry, and the ethos that fueled it, was in fact little different than the housing and automobile industries. As higher education emerged as a giant industry, faculty members also gained enormous public stature. The stereotype of the absent-minded, befuddled professor disappeared, replaced by a growing number of government advisers, policy analysts, corporation consultants, and media commentators. The most prestigious faculty members—in all areas, but especially in the sciences, where the ability to attract outside grants became so important—professors became free agents, selling themselves in the highly mobile job market. The professoriate became the primary campus decision maker, as administrators routinely articulated the basic principle of academic life: The faculty is the heart of the institution. That is, until the 1980s. By then a new ethos had established itself, one that grew evermore exaggerated and powerful—the ethos of the market. Although a market orientation had always existed in higher education, the market as the compelling force took on a whole new gravitas at the end of the 20th century. With it came an enormous shift in the balance of power in higher education. Institutional managers proliferated. Governing boards took on more power. The most-influential board members came from the world of business because it was assumed they understood economic markets. Students became more important than before because their ever-increasing tuition payments balanced budgets and their brains brought prestige. They expected to be treated well as customers and, more important, they increasingly assumed their degrees would be valuable in the labor market. Faculty members, once the most important decision makers, lost power. They held onto things like faculty appointments, but the truly big decisions, like where institutional resources would go, whether to biology or history or to a newcomer like public policy or to student services or graduate-student fellowships, were not faculty decisions. As the proportion of part-time instructors grew, so too did divisiveness within faculty ranks, further diluting professors' power. At the same time, their rights and responsibilities came into question. Could they really never be fired? Did they only teach 12 hours a week? Such questions were the public face of growing discontent. The academic disciplines themselves, which had been the heart of academe, came to look like walls against new approaches to learning; the power of academic departments seemed to serve mainly to undermine decisions taken in the interest of the institution as a whole. The megasize of the higher-education industry, and the high expectations that surrounded it, made it an easy target. At the end of the first decade of the 21st century, the automobile industry appeared to collapse, along with the housing market—two of the mainstays of success in America. The weight of their failure had simply become too great: greed, callous indifference to the environment, and a failure to take foreign competition seriously, combined with the disappearance of easy credit. The higher-education industry has not collapsed, but it has faced complaints similar to those hurled at the automobile and housing industries: chastised for offering overpriced, poor-quality products and services; as inefficient and bureaucratic, unwilling to adapt to new markets, technologically backward, administratively bloated, uninterested in teaching, and more concerned with frills than the core product. The automobile industry, at least, may remake itself—Americans have a way of doing that. The jury will be out for some time. And higher education? It is also trying to remake itself. When endowments at the richest universities dropped by 25 percent to 30 percent, gifts declined, and states faced bankruptcies, the costs of business as usual became too great. All the obvious steps have been taking place: cutting staff and programs, canceling capital investments and delaying maintenance projects, renegotiating debt, holding back increases in salaries and financial-aid packages. Deferred maintenance, however, has crippling consequences because the costs tend to escalate over time. The shift to part-time faculty members, already under way during the last two decades, is accelerating, and almost no one knows the consequences. The use of cost/profit measurements to decide what should be offered as education or what kind of research should be done, already commonplace by the 1990s, is even more intense, just as the goal of greater equity for students seems to be diminishing. The fact that approximately 45 percent of entering college students fail to graduate, with even higher percentages of minority students and students from low-income families, is disheartening. That students are learning much less than they ought to is troubling. Technology has made all forms of education less placebound and more borderless, raising questions about the future for many institutions and opening up entrepreneurial opportunities. Adult students interested in vocational training are essential customers of higher education, perhaps even more so than the once-traditional age group of 17- to 22-year-olds. The returns of higher education remain high, so the desire to attend will continue. That means the selling and buying of higher education is going to intensify. Corporatization is here to stay. The discontents both within and outside the higher-education industry are not going away. Marvin Lazerson is a professor of public policy at Central European University in Budapest and an emeritus professor of education at the University of Pennsylvania's Graduate School of Education. His latest book is Higher Education and the American Dream: Success and Its Discontents (Central European University Press, 2010). Not in their name! These teachers are courageous classroom leaders. In spite of all the hate, inspiration and care still happens! Tucson, Arizona (CNN) -- Eleven Tucson, Arizona, educators sued the state board of education and superintendent this week for what the teachers consider an "anti-Hispanic" ban looming on Mexican-American studies. The suit comes in a state already roiled by a controversial immigration law that is being challenged in court. On Tuesday, state Superintendent of Public Instruction Tom Horne defended the new law, which will go into effect December 31. The law authorizes the superintendent to stop any ethnic studies classes that "promote the overthrow of the United States government ... promote resentment toward a race or class of people ... (or) advocate ethnic solidarity instead of treatment of pupils as individuals." Horne said he would seek the first-ever ban in Tucson for its "raza studies" program, now called Mexican-American studies. Raza means "the race" in Spanish. The law allows the state to withhold 10 percent of monthly aid -- which would amount to $3 million a month for Tucson Unified School District No. 1. Horne has objected to the Tucson program partly because the district uses the textbook "Occupied America: A History of Chicanos" by Rodolfo F. Acuna, a professor of Chicanao Studies at California State University at Northridge, according to the lawsuit filed Monday. Students learn how the American Southwest once belonged to Mexico, but Horne objects to the use of the word "occupied." "In the lawsuit, they claimed that this legislation constituted discrimination," Horne said. "It's exactly backwards. The idea behind the legislation is that students need to treat each other as individuals ... and not what race they were born into." Horne, whose eight-year term limit will force him to step down next January 3, takes credit for the new law's passage. Horne is now running as a Republican for attorney general in November's elections, facing Democrat Felecia Rotellini, and he is a prominent supporter of the state's controversial immigration crackdown that's also being challenged in federal court on constitutional grounds. The program, created in 1998 and initially called "Mexican American/Raza Studies," has been effective in reducing dropout rates among Latino students, discipline problems, poor attendance and failure rates, the educators say. The instructor likened the curriculum to university departments devoted to African-American or Middle Eastern studies. The Tucson district renamed the program Mexican-American Studies last October because of "Horne's constant criticism and disparaging comments about the word 'raza,' " the lawsuit said. The new law, however, doesn't prohibit courses required under federal law for Native American pupils or the instruction about the Holocaust or other genocides or historical oppression against a group of people based on ethnicity, race or class. In their lawsuit, the teachers contend the law "was enacted by the legislature of the state of Arizona and signed into law by (Gov. Jan) Brewer as a result of racial bias and anti-Hispanic beliefs and sentiments." While Horne said he doesn't oppose history lessons about how Southwestern states such as Arizona and California were originally part of Mexico, he claimed the Tucson district was teaching that history in an objectionable manner. "They teach them that this is occupied territory that should be given back," Horne said. But on a recent day at Pueblo High School in Tucson, a reporter asked the mostly Latino students in an American history class -- part of the ethnic studies program -- whether anyone believed the Southwest should be returned to Mexico. When asked if the region belonged in the United States, all students raised their hands. Teacher Sally Rusk said she never taught that the Southwest should return to Mexico. "No, absolutely not," she said. "This is the U.S. Do any of the textbooks advocate that? No! No!" While the law targets courses that "are designed primarily for pupils of a particular ethnic group," one African-American student in the class, senior Olivia Payne, took exception with that description of the program. "I get really emotional because this class helped me a lot," she said, becoming tearful. "We're a family. We're one, and it's teaching us we can make a difference in this country. I don't want this class to be taken away." What is termed here as the "Hispanic paradox" is actually an artifact of differences in behaviors especially nutrition and eating patterns and lifestyle choices that tend to distinguish immigrants from U.S.-born youth. I would hypothesize that that which is evidenced generally across populations would be similarly evidenced in analyses further disaggregated by recency of migration with later-arriving youth reflecting these positive outcomes relative to their recent arriving counterparts who have experienced life more as bonafide north Americans rather than as Mexico Mexicans, so to speak. This is all actually important and interesting detail and speaks to parallel findings in various research areas and speaks in part to the differential impact of oppression on Mexicans, as opposed to Chicanos/as or Mexican Americans. I address a lot of these things in my book, Subtractive Schooling, should anyone wish to look more deeply into these matters in the educational arena. ATLANTA - U.S. Hispanics can expect to outlive whites by more than two years and blacks by more than seven, government researchers say in a startling report that is the first to calculate Hispanic life expectancy in this country. The report released Wednesday is the strongest evidence yet of what some experts call the "Hispanic paradox" - longevity for a population with a large share of poor, undereducated members. A leading theory is that Hispanics who manage to immigrate to the U.S. are among the healthiest from their countries. A Hispanic born in 2006 could expect to live about 80 years and seven months, the government estimates. Life expectancy for a white is about 78, and for a black, just shy of 73 years. Researchers have seen signs of Hispanic longevity for years. But until recently, the government didn't calculate life expectancy for Hispanics as a separate group; they were included among the black and white populations. The new report projecting future life spans is based on death certificates from 2006. By breaking out the longer-living Hispanics, the life expectancies for non-Hispanic whites and blacks both declined slightly, said the report's author, Elizabeth Arias of the Centers for Disease Control and Prevention. Hispanics are the largest, fastest growing minority in the United States, accounting for 15 percent of the population. An estimated 40 percent of them are immigrants, who in some cases arrived after arduous journeys to do taxing manual labor. It takes a fit person to accomplish that, suggesting that the United States is gaining some of the healthiest people born in Mexico and other countries, said Dr. Peter Muennig of Columbia University's school of public health who has studied life expectancy in different countries. Compared to the estimate for all U.S. Hispanics, life expectancy is nearly two years lower in Puerto Rico, more than two years lower in Cuba, and more than four years lower in Mexico, according to World Health Organization figures. However, experts say that immigrant hardiness diminishes within a couple of generations of living here. Many believe it's because the children of immigrants take up smoking, fast-food diets and other habits blamed for wrecking the health of other ethnic populations. "The American lifestyle is very sedentary. That's not a good thing," said Jane Delgado, president of the National Alliance for Hispanic Health, which focuses on improving health services for Hispanics. Health researchers have seen a strong link between poverty, lack of education and life-shortening health problems. Hispanics are disadvantaged in those areas: About 19 percent of Hispanics live at or below the federal poverty level - three times more than whites. As for education, fewer than 13 percent of Hispanics have a college degree, compared to 17 percent of blacks and 30 percent of whites. Indeed, past CDC studies have shown that Hispanics suffer some diseases at higher rates than whites, including diabetes and heart disease. But their death rates from those diseases were lower, not higher. As early as 1986, some researchers had been reporting what appeared to be lower death rates among Hispanics compared to other groups in some parts of the country. But a national estimate was difficult. Calculating life expectancy is a tough task that requires analyzing extensive information about how people died and how old they were, as well as statistical modeling to predict how long people born today will live if current trends continue. Until fairly recently, there was significant uncertainty about the accuracy of death records for Hispanics. Most health records only had data on blacks and whites. U.S. death certificates didn't provide for a way to identify someone as Hispanic until 1989. Arias' new report suggests that the life expectancy for non-Hispanic blacks and whites is lower by a couple of months than was previously estimated. Specifically, life expectancy for whites born in 2006 is now 78 years and 1 month and for black, 72 years and 11 months. There are limitations to the report. For example, it could not completely account for all Hispanics who move back to their countries of origin to die. Even so, "CDC is the ultimate authority on life expectancy" in the United States, said Muennig, the Columbia expert. Delgado, of the Hispanic Alliance, said one thing the report should do is erase any lingering belief that whites are the longest-living group of Americans. Check out this report by the Texas Higher Education Coordinating Board titled, "Accelerated Plan for Closing the Gaps by 2015". This is new info provided by the Pew Hispanic Center. 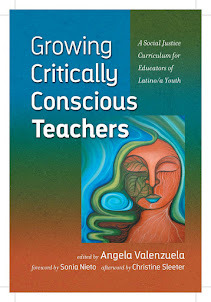 Compliments of Dr. Stephen Krashen, he forwards a website for scholars and practitioners replete with resources for those addressing the needs of bilingual learners. for details and contact information. This is a pretty powerful piece worth reading. Back in June of 2009, BAR told the story of activist teachers who sued the Chicago Public Schools to reverse the firings of hundreds of committed, experienced, mostly black and female teachers in dozens of schools and their replacement with less experienced, younger, whiter teachers at lower salaries. This pattern of discriminatory firings and school closings has since been replicated across the country, and is a core element the Obama administration’s education policy. Since then, some of those same teachers have won the leadership of Chicago's 30,000 strong teachers union. Earlier this week, a US District Court judge ruled in their favor. As Pauline Lippman explains at length elsewhere in this issue of BAR, the bipartisan quest to first undermine, and then to privatize public education has made educational policy a crucial battleground in the struggle for democracy in the U.S. As one of the laboratories for neoliberal school reform, my home town of Chicago owes the nation a profound apology. There, City Hall assumed mayoral control over public schools in the mid 1990s, replacing the professional educators at its helm with a “CEO” and flunkies from the mayor's staff. A decade earlier under reform mayor Harold Washington, Chicagoans won locally elected parent councils with teacher representation, democratic bodies with veto over principals' contracts and the expenditures of some Title 1 funds. The most economical way around these local democratic institutions, City Hall decided, was to dissolve entire public schools, firing their staffs wholesale and replacing them with charters and other schools not subject to the law, or accountable to parents. Paul Vallas, who went on to wreck public education in Philadelphia and New Orleans was the first Chicago school “CEO.” Arne Duncan, now the Obama administration’s Secretary of Education, was the second. Duncan closed dozens of schools and summarily fired hundreds of teachers in a “turnaround” strategy that has become national policy under the Obama Administration. Back in June of 2009, BAR told the story of activist teachers who sued the Chicago Public Schools for racial discrimination in the firings of hundreds of committed, experienced teachers, most of them black and female, who were replaced by younger, less experienced and mostly white teachers. Since then, the years of resistance to undemocratic “reform” by Chicago's teachers, parents and communities has borne tangible fruit. This summer some of the teachers involved in the lawsuit were elected to lead the city's 30,000 member Chicago Teachers Union. And this week, a US District Court judge ruled on their discrimination lawsuit, giving the Chicago Public Schools 30 days to come up with a plan to recall the unjustly fired teachers. BAR talked to Karen Lewis, a high school chemistry teacher and CTU president. We asked her what the significance of Monday's court decision on their case meant. CTU's Media Coordinator Liz Brown also had some opinions on the outcome of the lawsuit. This summer's victory of rank and file teachers, closely allied with parents in neighborhoods across the city, in assuming leadership of the Chicago Teachers Union  was significant in its own right. It came only after decades of struggle against a series of corrupt and incompetent union leaders. So we had to ask Lewis about that too. Chicago's insurgent teachers, some of whom now lead their union, spent years forging deep ties with parent and community groups around the city. Parents, students and communities who resisted dozens of school closings and hundreds of acts of petty despotism on the part of City Hall stooges now have a powerful institutional ally in CTU. This is a lesson that teachers, parents and communities around the country can learn. Last week saw the premiere of the pro-privatization propaganda film “Waiting For Superman.”  The film depicts privately run charter schools as the solution to the nation's educational woes, and paints villainous unionized teachers as the main obstacle to improving education. Predictably, it has received rave reviews in corporate media, which have echoed many of its questionable theses as undisputed facts. “It's extremely simplistic. It leaves a lot out.. It tells a story of this amazing school but leaves out the fact that the operator of that school gets $17 million a year in outside private funding to make it all happen. That's $100 million in only a few years to make a showcase out of a single school, $100 million from people who have a stake in the charter school industry nationwide. Many of the same folks were involved in financing this movie. CTU's Lewis isn't alone in her criticism of Waiting For Superman. The educators around Rethinking Schools responded to Waiting For Superman by spinning off a new site at www.notwaitingforsuperman.org . Intended as an antidote to the orchestrated flood of praise for the pro-privatization flick, it contains critical reviews of the film by real teachers with classroom experience, along with leaflets, online discussions, links to ongoing sources of information and resources for resisting the corporate drive to privatize education. Bruce A. Dixon is managing editor of Black Agenda Report, and based in Marietta GA. He can be reached at bruce.dixon@blackagendareport.com. Foundation ready to pay education costs if they are willing to teach. Joshua Shubert sometimes thinks his third-grade teacher, Wayne Mitchell, is mean. Octavia Shubert, Joshua's mother, disagrees. "No, he's firm," Shubert says of Mitchell. "And that's what I like. Especially [for] a young black man with the way the world is today." Mitchell, 45, in his fourth year teaching at George Washington Carver Elementary, is a rare commodity in education: a male elementary teacher. Even more rare, Mitchell is a black male elementary teacher. "They actually need somebody to get them on track and do a little bit more than just educate," Mitchell said of his students, particularly the boys. "So I sometimes feel more like a father. You need to give them a lot of love." The new Jacksonville-based nonprofit organization, Achieve Instill Inspire Foundation, is looking to make teachers like Mitchell less rare across the state. The foundation wants to provide scholarships to black and Latino men who will commit to pursuing degrees and careers in elementary education. "The ultimate vision is to get some young men into the pipeline so at the elementary level kids can see some people in a leadership role that look like them," said state Sen. Tony Hill, D-Jacksonville, who is helping to lead the organization. Hill said the foundation has been in development since 2005. He cited recent reports that ranked Duval County third from the bottom of large school districts nationwide in black male graduation rates in the 2007-08 school year as an additional motivator. The school district questioned the methodology of the study, which was conducted by the Cambridge, Mass.-based Schott Foundation for Public Education, and disputed the findings. Of the approximately 119,000 elementary students who attend public schools on the First Coast, about 20 percent are black or Hispanic boys, but only 1 percent of the more than 7,600 elementary teachers in the region are black or Hispanic men. Across the state, black and Hispanic boys make up 26 percent of elementary students, while black and Hispanic males account for 3 percent of elementary teachers. "Young black males just do not see other African-American males in leadership and authority positions that they can relate to," Hill said. The organization's board members will spend the next year fundraising and getting the word out about its effort, Hill said. The board consists of physicians, business leaders and educators. Martha Valdes-Pellino, chief financial officer of the Puerto Rico Chamber of Commerce of Northeast Florida, said the foundation is an opportunity to break a cycle with black and Hispanic boys. "If we don't get our young men educated it turns into a vicious cycle of unemployment, getting into trouble and possible jail time," Valdes-Pellino said. "So education is really the answer to preventing these teens from falling to the wayside." Hill said the group intends to set fundraising targets and scholarship goals in November and hopes to meet with the education deans of Florida's historically black colleges and universities to see if they can match the group's efforts. The group is starting with historically black colleges because large numbers of black students attend the schools and many will go back to their communities to live and work, Hill said. The pool of college-educated black and Hispanic men is already small and the challenge for Hill's group is to convince those talented students to skip careers as engineers and lawyers. Mitchell, who is one of Duval's 70 black male elementary teachers, practiced law in Maryland for five years before he and his wife moved to Jacksonville. After the move he said he wanted to try something new. "Once many of us go and get our degrees, we don't necessarily think about teaching, definitely not at the elementary level," Mitchell said. "Because of our socioeconomic status, when we go and get degrees we tend to want to better ourselves, better our family." To sweeten the pot, Hill said the group would like to use the foundation funds to pay black and Hispanic male elementary teachers to mentor their students as well. If the community is willing to pay probation officers to work with young people who've made mistakes, the community can pay teachers to mentor young people and keep them from making mistakes, Hill said. Duval and Clay counties are tackling the issue with recruitment efforts aimed at increasing the pool of minority applicants for teacher positions. Duval will host a recruitment event targeting black males Saturday called "A Teacher Like Me" at Florida State College at Jacksonville's Downtown Campus. The event is targeting black males. "It's important for students to have teachers who are reflective of them so they can have role models to look to," said Jimminda Thompson, a recruiting supervisor for Duval schools. "That is a key factor in students being able to see themselves in a teaching role, or being able to relate to their teacher." Clay County public schools faced a civil rights complaint last school year from community members and clergy who felt the district wasn't making enough of an effort to recruit minority teachers. There are about 1,480 elementary teachers in Clay County, of which four are black or Hispanic males. The district responded to the complaint by forming a task force with the community to address hiring efforts, and in May, the district held its first-ever recruitment fair with nearly 500 applicants in attendance. More than a quarter of those were minorities. This past year, 14 percent of the new teachers and 37 percent of the new administrators hired by the district were minorities, said Toni McCabe, Clay's assistant superintendent for human resources. Michael Henry, principal of S. Bryan Jennings Elementary School and one of the district's few black principals, said the numbers were a dramatic improvement. "We're moving in a direction toward working together to eradicate some of the disparities," he said. Achieve Instill Inspire raised about $10,000 toward its cause during a kickoff event in September. Hill knows that is far from what is needed to fulfill their vision. "A thousand miles begins with one step, for the first time in years we're not leaving it up to government," Hill said. "It's going to be a slow process, but we're in this thing for the long haul." Shubert, Joshua's mother, said she is pulling for the new organization to raise a ton of money and send lots of black and Hispanic men to college so more boys can have Joshua's experience. "When Joshua looks back," Shubert said, "he'll say, 'Yeah, Mr. Mitchell was mean, but I got my lesson.'" Notable quote by Hilary McLean: "Some of the students who need the most experienced teachers have the least access to them," McLean said. "We need to take steps to ensure they have access. This ruling may be a factor." I'm curious how California intends to move beyond symbolic statements to actions and investment in efforts that prepare politically aware teachers for our high-needs schools. Might be kinda hard when billion dollar cuts are starving the state's education system. (09-28) 14:45 PDT SAN FRANCISCO -- California has violated federal law by classifying thousands of inexperienced, noncredentialed teachers as "highly qualified" and assigning them to schools with heavily low-income and minority enrollments, a federal appeals court ruled Monday. The ruling by the Ninth U.S. Circuit Court of Appeals in San Francisco was a victory for impoverished families in Richmond, Hayward and Los Angeles who filed suit in 2007. They claimed their schools were saddled with disproportionate numbers of untrained interns because of federal and state regulations that flouted federal law. The appeals court ruled 2-1 against the families in July 2009, saying the federal No Child Left Behind Act leaves such decisions largely up to the states. On Monday, after reviewing further arguments, the same panel reversed itself, reinterpreted the law and ruled 2-1 against the government. The ruling doesn't require school districts to fire interns or bar them from teaching core subjects. But it requires districts in California - and potentially other states - to change their assignment policies so that the least-prepared teachers are not routinely placed in the neediest schools, said John Affeldt, a lawyer for the families. Hilary McLean, spokeswoman for state schools Superintendent Jack O'Connell, said the ruling might help to narrow the achievement gap in California schools. "Some of the students who need the most experienced teachers have the least access to them," McLean said. "We need to take steps to ensure they have access. This ruling may be a factor." She said California had about 5,000 interns among its 306,000 teachers in 2008-09, a 27 percent decrease from the previous year. According to evidence provided by the plaintiffs and cited by the court, 62 percent of the interns teach in the poorest half of California schools, and 41 percent teach in the 25 percent of the state's schools with the highest concentration of minority students. The dispute involved a provision of No Child Left Behind that allows only "highly qualified" teachers to instruct students in core academic subjects. The law says a teacher must obtain "full state certification" to be highly qualified. Rules adopted by the Bush administration in 2002, and replicated two years later by the California Board of Education, allowed interns to be considered highly qualified if they were in state-approved programs and were making progress toward certification. Affeldt, the plaintiffs' lawyer, said the Obama administration has endorsed those rules in the current lawsuit. But the appeals court said the regulations conflict with the law by putting interns who are making progress toward certification in the same category as teachers who have obtained full credentials. Federal and state regulation "impermissibly expands the definition of 'highly qualified teacher,' " said Judge William Fletcher in the majority opinion. He acknowledged that the law allows California to redefine "full state certification" to include interns but said there was no evidence that the state would do so. Judge Dorothy Nelson, author of the July 2009 ruling that upheld the regulations, changed her position and joined Fletcher's opinion. Judge Richard Tallman dissented. The ruling can be viewed at links.sfgate.com/ZKIX. Do new small schools in New York City enroll more advantaged students than the city's other schools ? Check out this PDF executive summary http://www.annenberginstitute.org/pdf/JenningsPallasExSum.pdf. Over the course of the past decade, the New York City public school system has sought to reform high school education. Central to this reform agenda has been a conscious effort to close or downsize large comprehensive high schools viewed as failing and, in their stead, to open new small high schools. Supported by investments by the Bill & Melinda Gates Foundation and other philan- thropies, over 200 new small high schools have been founded in New York City. Conversely, since 2001-2002, twenty-seven large compre- hensive high schools have been closed or downsized, then reopened as campuses housing some of these new small schools. The changes in the number and character of New York City public high schools over this period were accompanied by a new system of high school choice, which, in its current form, allows eighth-grade students to rank up to twelve high schools in order of preference. Then students participating in the choice process are assigned to a single high school. These reforms created the possibility of a redis- tribution of students among New York City’s high schools. The choice process was designed to create opportunities for students to enroll in a more diverse set of schools across the city, rather than the default choice of a large com- prehensive high school in their neighborhood. Moreover, one of the goals behind the replace- ment of large comprehensive high schools with small schools was to lower the concentration of high-needs students enrolled in these large schools. Nearly a decade later, it is now time to assess whether these intentions have been realized. Many large comprehensive high schools have been closed. Nearly two hundred small high schools have been opened. What do we now know about which high schools New York City’s eighth-graders enroll in? In this study, we examined the demographic characteristics of students entering the new small high schools in New York City and con- trasted them with the characteristics of students entering the large high schools that closed. We also determined whether these high school reforms altered how different types of students are distributed across schools. schools similar to students enrolling in other New York City high schools in their boroughs? • Do the characteristics of students enrolling in new small high schools change over time? • Are the students enrolling in new small schools sited in former large comprehensive high school buildings similar to the students who previously attended the large schools? • Have New York City’s high school reforms altered the distribution of students across schools? The new system of high school choice created the possibility of a redistribution of students among New York City’s high schools. Do New York City’s New Small Schools Enroll Students with Different Characteristics from Other NYC Schools? entering students who were classified as profi- cient on the statewide eighth-grade English language arts assessment; the percentage of entering students who were classified as profi- cient on the statewide eighth-grade mathemat- ics assessment; the average percentage of days in the semester prior to entering a high school that incoming students attended school; the percentage of entering students who were clas- sified as over-age for their grade; the percent- age of entering students who were male; the percentage of entering students who were eligi- ble for free or reduced-price lunch; the per- centage of entering students who were classi- fied as English language learners (ELLs); the percentage of entering students who were clas- sified as entitled to full-time special education services, based on the presence of a disability (available from 1999-2000 through 2005- 2006); the percentage of entering students who were classified as entitled to part-time special education services (available from 1999-2000 through 2005-2006); and the percentage of entering students who were classified as enti- tled to full-time or part-time special education. Are the students who enroll in new small schools similar to students enrolling in other New York City high schools in their boroughs? Our results indicate that over the years 2002- 2003 through 2008-2009, new small high schools enrolled students who were similar to students enrolled in other high schools in their boroughs on some of the criteria we examined but who differed in some important respects. Overall, new small schools operating between 2002-2003 and 2008-2009 did not enroll incoming students with better records of stan- dardized test performance than students enter- ing existing high schools. The rates of profi- ciency in English language arts are about the same, and students entering new small schools have worse performance on the statewide eighth-grade math test. The percentage of stu- dents eligible for free or reduced-price lunch who enrolled in new small high schools also exceeded the percentage for students enrolling in existing schools. Conversely, the new small schools were signifi- cantly less likely to enroll full-time special edu- cation students for the years that we have data on that characteristic. New small schools enrolled a smaller proportion of male students than existing schools, and those new small schools serving both ELL and non-ELL stu- dents were less likely to enroll ELL students than other high schools. Do the characteristics of students enrolling in new small high schools change over time? We found two distinct trends in the character- istics of students enrolling in new small schools between 2002-2003 and 2008-2009. The stu- dents enrolling in new small schools in 2002- 2003 were in many respects similar to students enrolling in other New York City high schools, with the exception that they enrolled fewer male students than other schools. But in 2003- 2004 and 2004-2005, small schools enrolled a progressively more advantaged population, with higher concentrations of students profi- cient in reading and mathematics and students with better middle-school attendance records than the students entering other schools. Small schools also were less likely to enroll over-age, ELL, and special education students than were other schools in 2003-2004 and 2004-2005. After 2004-2005, the trend reversed, with small schools enrolling increasing numbers of academically challenging students. We inter- pret this as evidence that during the first wave of large high school closings, students who would have attended these large schools ini- tially did not attend the new small schools. During subsequent waves of phasing out large comprehensive high schools, academically chal- lenged students have increasingly enrolled in the new small high schools. Are the students enrolling in new small schools sited in former large comprehensive high school buildings similar to the students who previously attended the large schools? students in the new small schools on the same campus as the large comprehensive schools they replaced were 9 to 10 percent- age points more likely to be proficient in reading and math; 15 percentage points less likely to be over-age for grade; had better prior attendance; and were substantially less likely to be male, ELL, or entitled to special education services. As the new small schools have matured over time, they have retained their advantages over the large comprehensive schools they replaced. The students enrolled in new small schools were, however, more likely to qualify for free or reduced-price lunch, which may reflect differ- ences in the ways in which small and large schools collect the forms that establish eligibil- ity. As the new small schools have matured over time, they have retained their advantages over the large comprehensive schools they replaced. Have New York City’s high school reforms altered the distribution of students across schools? We measured the amount of segregation of higher-achieving, male, free or reduced-price lunch, ELL, and special education eligible stu- dents by establishing what fraction of students in each group would need to switch schools to evenly distribute each type of student across schools. In 1999-2000 there was a moderate amount of segregation among students enter- ing New York City high schools, with the greatest segregation observed for eighth-grade math and reading proficiency and the least seg- regation found for the distribution of male and female students across high schools, both for New York City overall and within each of the five boroughs. The community response to our findings, pre- sented at a community forum sponsored by the Annenberg Institute for School Reform on September 23, 2009, emphasized the ways in which community members, including princi- pals, teachers, parents, and other stakeholders, experienced the pattern of school closings and openings. Some participants drew attention to the process by which the New York City Depart- ment of Education (NYCDOE) closed large comprehensive schools. One recurring concern is that the closing of large schools affects the population of other large schools, particularly those nearby. Other participants suggested that how the NYCDOE handles the closing process and communicates information to the commu- nities served by large high schools influences where the students who previously would have been likely to attend a large comprehensive high school eventually enroll. Other participants emphasized the distinctive challenges facing new small schools. Many par- ticipants stated that new small schools face challenges in serving ELL and special educa- tion students; they need additional resources and support from the NYCDOE to serve these students successfully. Others expressed concern that as new small schools become more strati- fied through the forces of the market, some small schools will increasingly resemble failing large schools. a system in which the fortunes of one school can influence what happens to other schools. The closing of large schools affects the population of other large schools, particularly those nearby. new small high schools and phasing out of large comprehensive high schools. The only notable departures from this pattern are an increase in student segregation by free or reduced-price lunch status in every borough over the past five years; a slight increase in gen- der segregation in the Bronx and Brooklyn, the boroughs responsible for most new small school foundings; and an increase in special education segregation in the Bronx. Acknowledging that school foundings and closings have consequences for other schools can help policy-makers design policies and practices that have a better chance of providing all students with access to the educational serv- ices and opportunities they need in order to succeed.